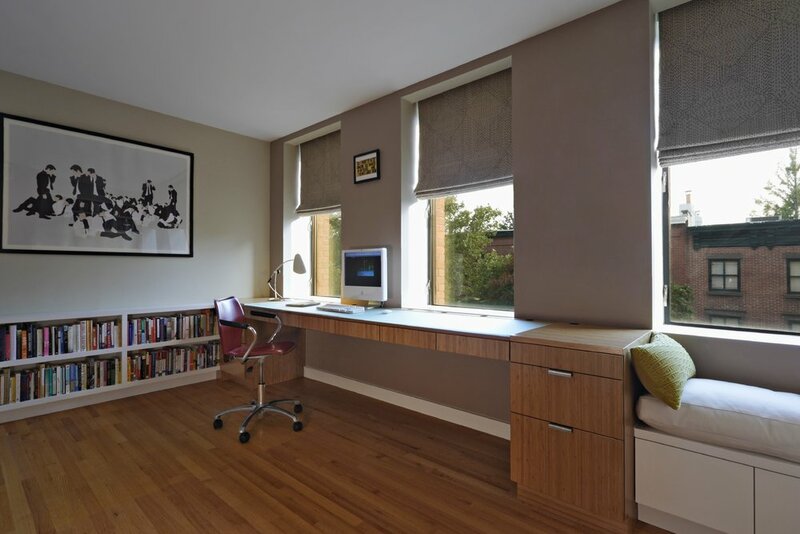 Custom wrap-around millwork creating a highly functional home office in a Brooklyn townhouse. The millwork installation includes shelving, cabinetry, a long desk accommodating two to three work stations and a small, built-in seating/reading area. The desk, on the client’s request, was engineered to span the entire work area with no supports or pedestals below it.